Manhattan, NY Silverstein Properties and Taconic Investment Partners, joint venture owners of 619 West 54th St., a 325,000 s/f mixed-use building located on the West Side, unveiled plans for a 15,000 s/f wet laboratory research facility and office space, introducing to market one of the city’s only designated life science spaces. With an expected January 2019 completion date, the space will be situated within the Hudson Research Center, a collaborative hub with over 150,000 s/f of life science research lab and office space envisioned. Designed by architecture firm Perkins + Will and engineering firm BR+A, the space is being outfitted to accommodate up to two tenants with dedicated lab space and a private office for each tenant, along with a variety of shared conference rooms, meeting spaces, café/lounge and open collaborative workspaces. The facility, which will begin construction this October, will include everything that a tenant needs to “plug-and-play” which is especially crucial for early stage research companies. The space will provide a rare, unmatched opportunity for New York City’s growing life science community. Taconic and Silverstein’s plans strategically align with the city’s ongoing initiative to expand Manhattan’s life sciences sector in an effort to compete with industry leading cities such as Boston, MA and San Francisco, CA. In 2016, Governor Andrew Cuomo announced a $650 million plan to encourage development of the life science sector statewide. Additionally, Mayor Bill de Blasio announced a $500 million initiative called Lifesci NYC to boost the life sciences industry in New York City. These initiatives are further supported by the New York City Economic Development Corporation (NYCEDC) and its industrial development agency, each of which have implemented programs and targeted incentives to spur accelerated, yet long-term, industry activity, including real estate tax reductions, mortgage recording tax waivers, and sales and use exemptions. 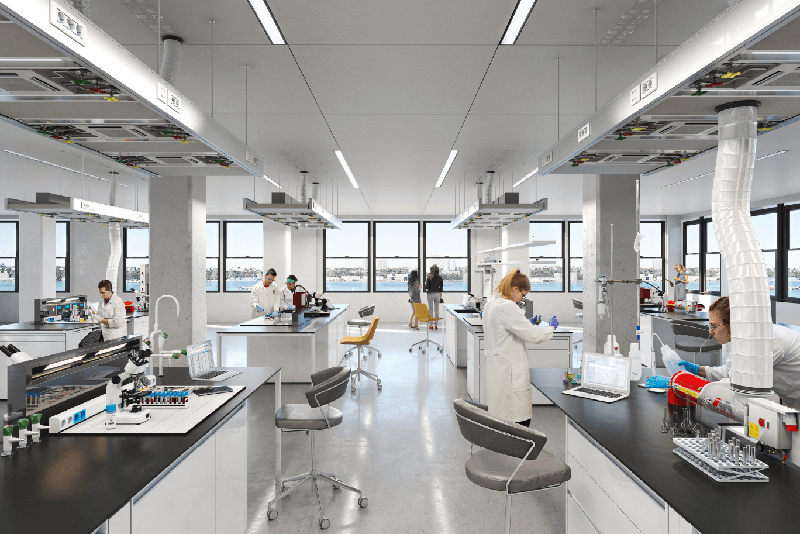 As the next phase of the building’s pre-built lab initiative, Taconic and Silverstein have commenced design on 32,512 square feet, spanning an entire floor at the Hudson Research Center, which will accommodate one to four research tenants. This next phase of space is expected to deliver in fall/winter 2019. Current building tenants include the New York Stem Cell Foundation who opened their new 42,000 square foot research and executive headquarters in 2017. Other tenants include Rogosin Institute and Manhattan Surgery Center. Located on Manhattan’s West Side with spectacular views of the Hudson River, the neighborhood surrounding 619 W. 54th Street boasts popular restaurants and ultramodern residences within close proximity to Penn Station and Port Authority. 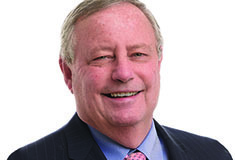 CBRE’s Steve Purpura and Jonathan Schifrin are overseeing leasing for the facility. For more information about 619 W. 54th Street or to inquire about leasing opportunities, please Jonathan Schifrin, jonathan.schifrin@cbre.com and Alessios Tropeano, Alessio.Tropeano@cbre.com.